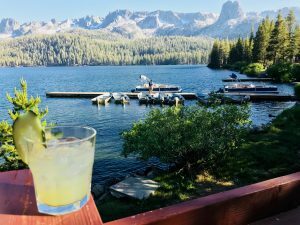 Mammoth Lakes offers vast opportunities for outdoor activities. The Sierra Nevada Mountains provide a winter wonderland for skiing, snowboarding, cross country skiing, snowshoeing and snowmobiling. The Lake Basin supplies majestic lakes for fishing, boating, canoeing, kayaking and swimming. And the entire region is a scenic playground for hiking, biking, camping, photography and exploring nature. But as divine as all these outdoor activities are, I like Mammoth’s ever-indulgent indoor activities best. I’m talking about eating and drinking. For a town of only about 8,000 inhabitants, the locally run food and beverage outlets positively bulge with tasty pleasures. 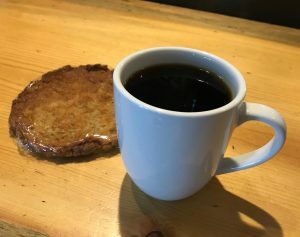 Breakfast at STELLAR BREW & NATURAL CAFE, a popular coffee shop selling coffee, tea, protein shakes, juices, breakfast and lunch—all with a locally sourced, natural and organic focus. 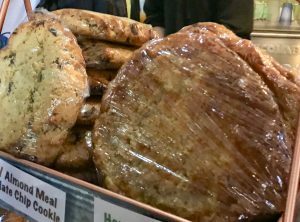 As it happens, I would trade all of the nutrition on the menu for a large cup of dark brewed coffee and a giant, crunchy, sugar- and butter-packed cookie that is rich enough to give a nutritionist apoplexy just reading the ingredient list. Owner Andrea Walker gave Sweet Leisure the following recipe; it produces a somewhat similar, and equally delicious, version of her famous homestead cookies. 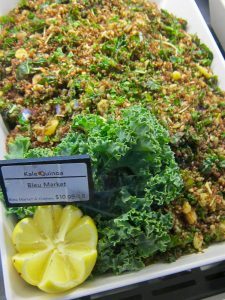 Lunch has to be at BLEU MARKET & KITCHEN, an upscale organic-focused grocery store/bakery/deli/restaurant/bar & lounge/take-out/catering facility. I’d have Bleu pack a box lunch for a picnic and/or would eat in the cool dining room loading up on protein-packed sandwiches on just baked bread and kale quinoa salad. Even those who say they don’t like kale, love the salad—it’s that good. 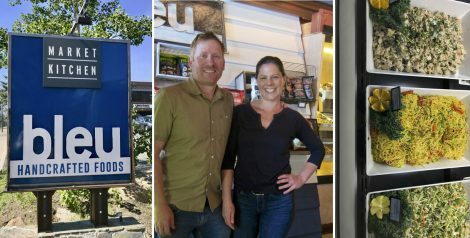 See for yourself as Bleu’s owners, Theresa and Brandon Brocia, generously shared their recipe below. Afternoon snacks producing mammoth sugar highs can be had at MAMMOTH FUN SHOP, an ice cream parlor, candy counter and novelty shop specializing in toys, juggling paraphernalia and souvenirs. 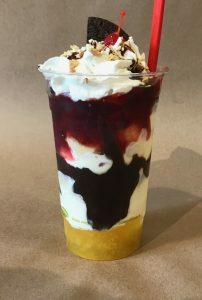 Although all is lusciously decadent, it’s the super-duper vertical banana split called The Baked Gorilla that grabbed my heart. Cocktail Time belongs to SHELTER DISTILLING, a sleek and sophisticated facility that distills spirits, brews beer and serves a spirited sampling of both (food is on the menu as well). 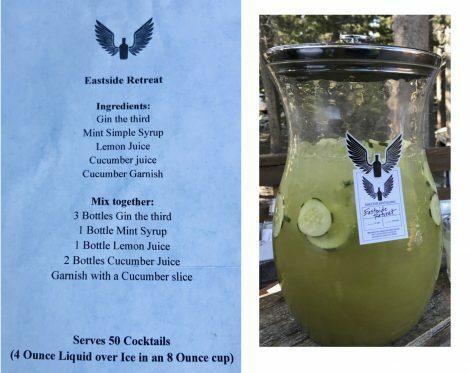 Favorite cocktail: The Eastside Retreat. Printed two recipes below. The first is for folks who believe one is never enough and the second for people who savor the solo. Dinner restaurants abound. My personal favorite is PETRA’S BISTRO & WINE BAR, a justly popular place serving a contemporary American menu with 30 wines by the glass and many more by the bottle. The duck confit rocks and the salmon comes grilled to perfection. Combine coconut, flour, oats, salt, baking soda and baking powder in a medium-size mixing bowl. Set bowl aside. Put butter in a large mixing bowl. Add sugars and vanilla and beat with an electric mix until creamy. Add eggs, one at a time beating well after each addition. Gradually beat in coconut mixture. Roll a tennis ball-size portion of dough into a ball and put on parchment paper covered baking sheet. Either flatten ball by hand or top with another sheet of parchment paper and, with a rolling pin, roll dough into a 1/4-inch thick circle. Repeat, placing dough circles well apart on baking sheets. Put baking sheet in preheated 375°F oven and bake until cookies are light golden brown, 10 to 15 minutes. Cool on a rack before removing from parchment paper. Put quinoa in a large strainer and rinse under cold running water until water is clear. Transfer rinsed quinoa to a 2-quart saucepan. Add 2 cups water bring to a boil over medium heat. Turn heat to low and put lid on pan. Simmer until water is absorbed and grains appear translucent and germ ring is visible along edge of grain, 10 to 15 minutes. Remove from heat and let cool to room temperature. Put kale in a large salad bowl. With a fork, fluff quinoa and add to kale. Add sunflower seeds and raisins. Set bowl aside. Make dressing: put oil, lemon juice, garlic, oregano, salt, pepper and honey in a medium bowl and whisk until well blended. Pour dressing over kale mixture. Toss well with two large spoons. Sprinkle with cheese and serve. Combine all ingredients and pour into a glass over ice. Garnish with cucumber. 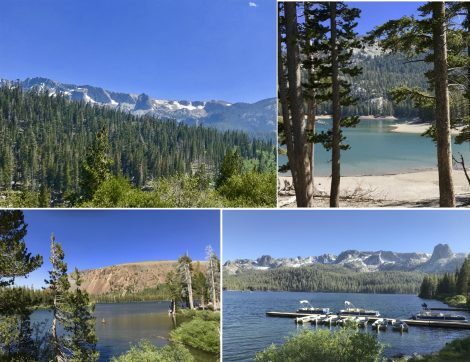 For more information about Mammoth Lakes, see: VisitMammoth.com.